Parenting is hard. Parenting a child with specific emotional or educational needs is even harder. 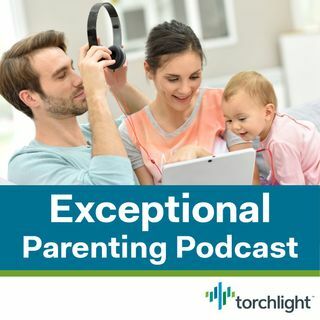 Tune in to Torchlight’s Exceptional Parenting Podcast for discussions with the nation’s top experts about today’s toughest parenting challenges. Whether you’re concerned about your child’s development, learning, and behavior, or you just want to make family time more enjoyable, you’ll find that each episode offers practical, easy-to-use solutions that can help. Want full access to Torchlight’s ... See More online caregiving platform, including personalized action plans, eGuides, and Tools? Have your employer contact us! They can find our information at www.torchlight.care.